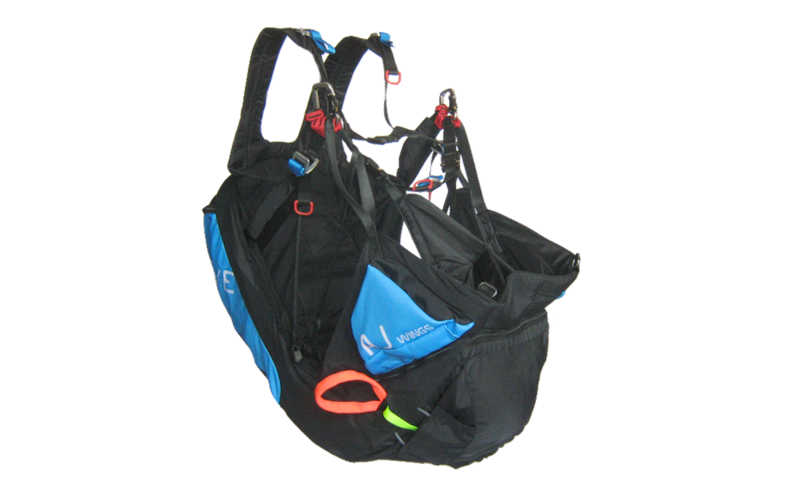 This multi-functional harness is ideal not only for beginners, who spend more time on the ground, but also for slope soaring and even for long flights. It´s light to carry, yet is very solid and resiliant, meaning it can hold harder landings as well. The harness is designed without a seatboard, making it lighter, stable and thus easier to pilot. Thanks to its good wrapping, you don´t feel tilted and so after returning to the straight position your body automatically returns to the middle again. This characteristic helps the pilot avoid fatigue during long flights. It also helps the less-experienced pilot avoid stress when flying through turbulence. The construcion of leg straps allows comfortable walking and running which is very useful for groundhandling and for training purposes. The harness can also be used for tandem passangers. Our harnesses are produced as modular sections that can be combined according the customers´ requirements. 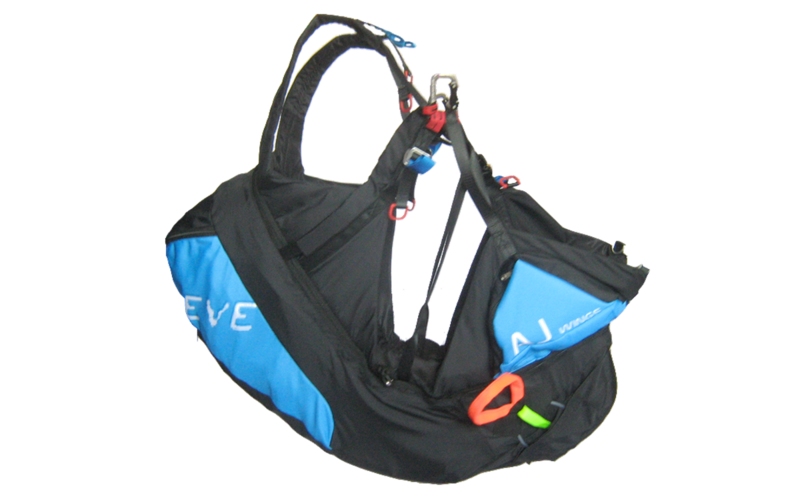 In practice, this means that one can have an Eve harness for regular flying and when travelling abroad, and an Eve Airbag for the back part can be attached to the standard harness when required. In this way, the harness can be adjusted according to the situation. Weight: 2,6 kg w/out carabiners. 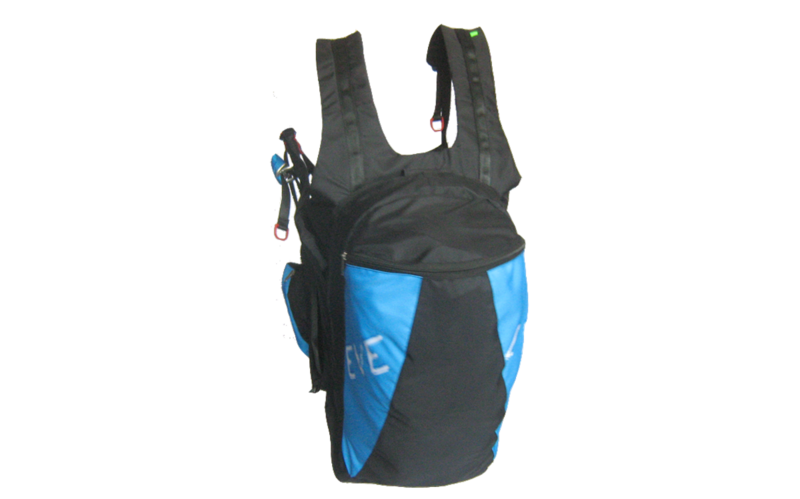 Large container and two side pockets.